Don's experience include's Napa Valley's Trefethen Family Vineyards, where Don was the enologist. Working with Trefethen's Bordeaux varieties, Don developed a barrel-by-barrel approach to blending. Don further refined his approach to blending when he became the assistant winemaker at Francis Coppola Winery, in 2008, where he supervised winemaking activities at multiple facilities. 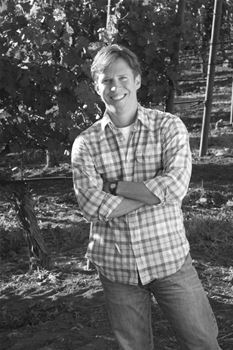 Then in 2011, Don joined Duckhorn Wine Company as the associate winemaker for Sonoma County, overseeing Decoy. In 2014, in recognition of his skill as a winemaker, and his masterful blending ability, Don was named the winemaker for Paraduxx. Education: Don gained an international perspective on winemaking by earning his wine science degree from Australia's Charles Sturt University- one of the world's most respected viticulture and enology schools. At Charles Sturt, Don was selected for the prestigious assistant research winemaker position at Australia's National Wine and Grape Industry Center, where he honed his skills with multiple grape varieties.